CBC Radio: The only decent radio station in Portugal? Whenever I feel that I am beginning to forget what a Canadian accent sounds like, or whenever I want to listen to an impartial, complete news report, I point my browser to the CBC Radio site and listen online. As expected, the site is very well organized. You can listen to the local radio station that you used to listen to in Canada (London, in my case), and you can even listen to past episodes of the different programs. I was, and still am, a bit of a nerd. As a result, when I was younger and whenever I was home, I would have the radio tuned to CBC Radio Windsor or London frequency. 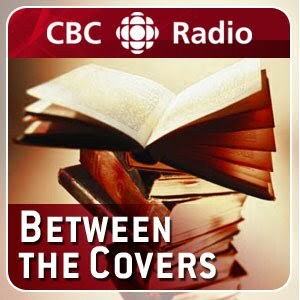 Most Sunday nights I would fall asleep listening to the stories on "Between the Covers"(which unfortunately is now only available as a podcast), or would listen to "As it Happens" and "Quirks and Quarks" during the week. It is a shame that radio is such an underrated medium. There is nothing better than being all cuddled up in bed on a cold winter's night eyes and listening to a familiar voice and an interesting story. So, what is your favourite CBC Radio program? It does tug at the heartstrings, doesn't it? Though I've always been pretty partial to Barbara Bud, shame she'll be leaving "As it Happens" at the end of this month. I have been examinating out many of your articles and i must say pretty nice stuff. I’d must test with you here. Which is not something I usually do! introduced for your post. They're very convincing and can certainly work. Nonetheless, the posts are too brief for novices. Could you please extend them a little from next time? Thank you for the post. a little bit evaluation on this. And he actually bought me breakfast as a result of I discovered it for him.